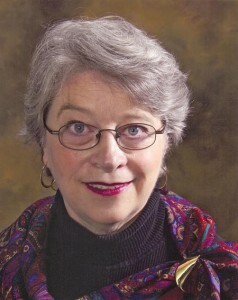 Carol S. Fitzpatrick worked with her first struggling reader during her student teaching experience back in 1973. She was fascinated by the intelligence of one of her third graders. Jimmy could hardly read a word, but he could explain the workings of an automobile engine in great detail. She started reading everything she could find on reading disabilities and dyslexia. 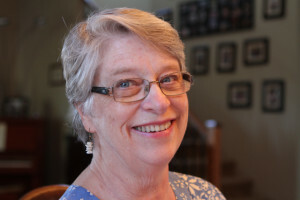 Little did she know that would be the beginning of a career where she would work with several hundred struggling readers, including her own two sons. Some of the most fulfilling experiences of her life have been watching these brilliant but discouraged students begin to blossom. Over the years, she has learned many techniques that work with these students. Between 2002 and 2006, Carol worked as a reading specialist in a school with a high percentage of struggling readers. It was her job to help those children learn to read well enough to pass the state reading test each year. Few students had to spend more than one year in her program. It is our desire to share her “secrets for success” with parents and teachers alike. Arizona Standard Teaching License (K-8), with standard endorsements in Reading (K-12) and Music (K-12), August, 2014 – 2019. Trained by Lindamood-Bell in LiPS (Lindamood Phoneme Sequencing). November, 2013. Trained as a dyslexia consultant by Susan Barton of the Barton Reading and Spelling System*. 48 hours of graduate training in screening for dyslexia. June, 2013. *Both the Slingerland Approach and the Barton Reading and Spelling System are Orton-Gillingham-based programs, which research has shown to be very effective with dyslexia. Between 2006-2009, Carol researched and wrote a book to help teachers (and parents) work successfully with their dyslexic students. As an action research project for her masters’ degree, she had been keeping data on her struggling readers (any student who was more than 1 year behind on his or her state reading scores in Carol’s fourth/fifth grade classroom). For two years, she collected data that verified what she had been seeing. All of her struggling readers averaged two and a half years’ growth in reading, and both years one student made four years’ growth. Her professor sent her project into Networks, an international action research website, which immediately published it as The Power of Two: A Study of the Integrated Reading Method of Peer Tutoring. When her district supervisors noted the remarkable progress made by the students in her classes and saw the data showing the students’ success, they created a position for her as a reading specialist in a school without a Title I program. Her one assignment was to raise the reading grades for everyone, and she did. She knew the secret to her success was her methods. 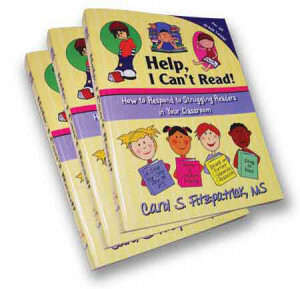 In 2006, she took a break from teaching to write a resource book for other teachers called “Help, I Can’t Read!” How to Respond to Struggling Readers in Your Classroom © 2009. It is now being used in over twenty states and six foreign countries.